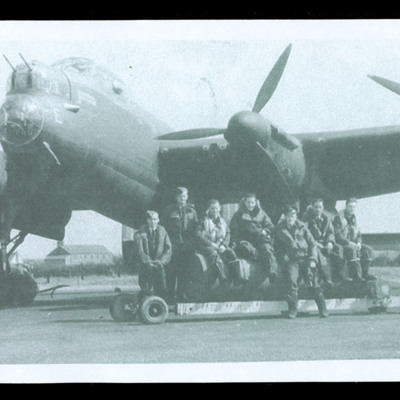 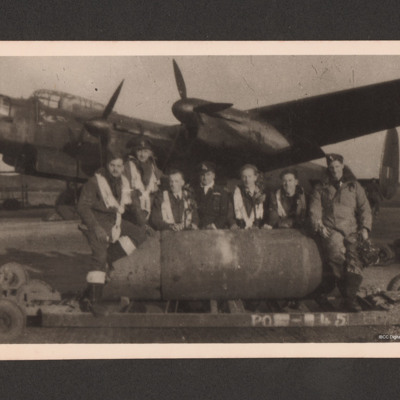 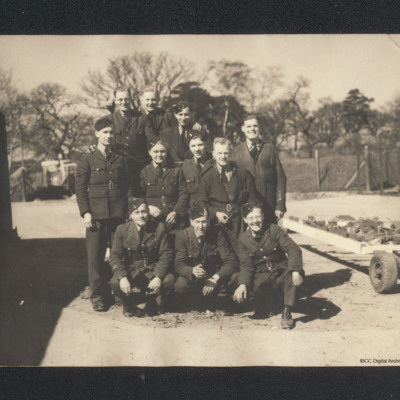 Photograph 1 is of armourers with a bomb under the nose of a Lancaster X. 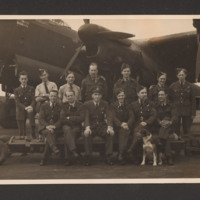 Photograph 2 is of an aircrew under the nose of a Lancaster. 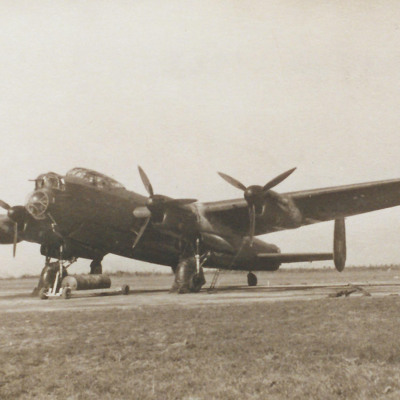 The nose displays a number of operation symbols. 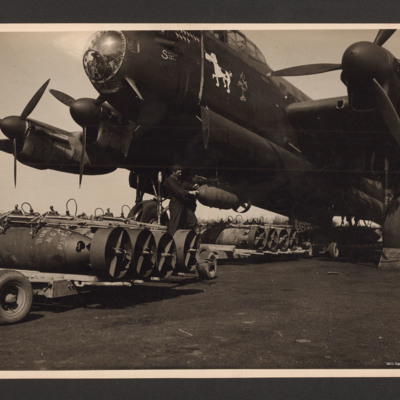 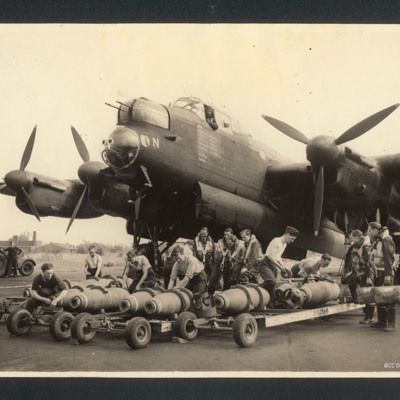 Photograph 1 is of a bomb being loaded into a Lancaster X. 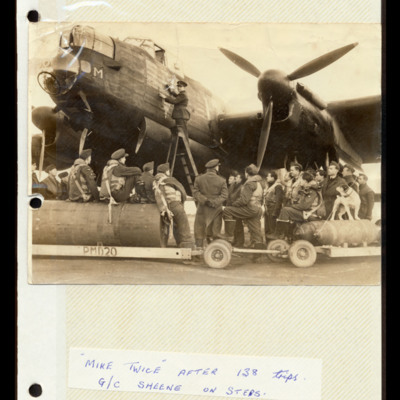 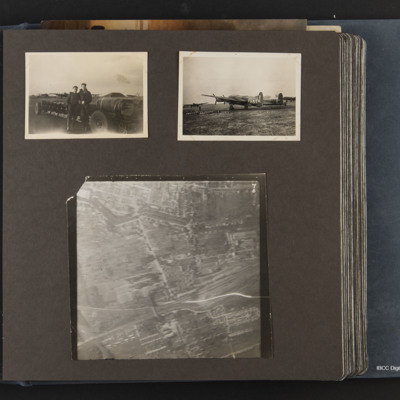 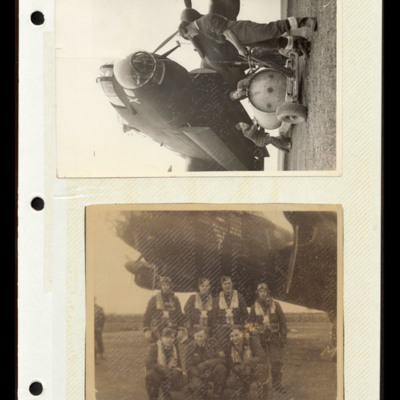 Photograph 2 is of Syd Marshall at his engineer's position in a Lancaster. 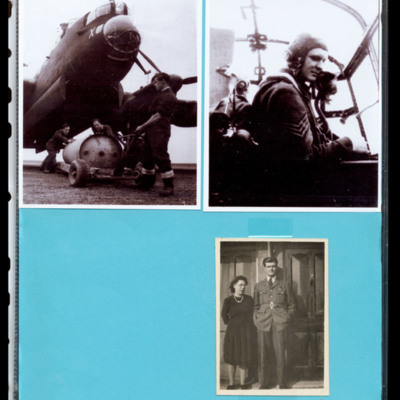 Photograph 3 is of Syd Marshall and a woman.